Toyota is phasing out diesel engines from its new cars in Europe. The announcement was made by Toyota at the Geneva Motor Show 2018 to mark the launch of the all-new Toyota Auris, which is now diesel-free for the first time in its history. "You may ask, where’s the diesel powertrain? The answer is simple : there isn’t one," declared Dr Johan Van Zyl, president and CEO of Toyota Europe. "We are building on the success of our hybrid line-up, and phasing out diesel engines from our passenger cars in Europe"
"We are carrying on a strategy we started with the launch of the C-HR. We are building on the success of our hybrid line-up, and phasing out diesel engines from our passenger cars in Europe. Customer demand is a clear sign that our petrol-electric hybrids are a strong and popular alternative." The Japanese car manufacturer – which has two plants in the UK – will focus on petrol and hybrid powertrains for future models. A spokesperson for the company has told HonestJohn.co.uk that commercial vehicles, like the Hilux pick-up and Proace panel van, will continue to be diesel-powered for the foreseeable future. Toyota's decision to start phasing out diesel engines from its passenger vehicles, however, will not come as a surprise to car dealers in the UK: demand has slumped by 17 per cent in 2017, with 220,000 fewer new diesels being registered compared to the year before. Diesels have struggled in 2018 too, with VED changes, diesel showroom tax and DPF problems diminishing their appeal with buyers. As a result sales are expected to continue their downward trend. Petrol and diesel vehicle sales could be banned altogether after 2040, as part of Government plans to tackle air pollution. The ambitious proposals are part of the UK’s Clean Air Strategy, which is focused on lowering nitrogen dioxide (NO2). The consequences of political meddling, I am afraid. I agree that cleaner diesels are possible but the downside is the complexity of the systems to achieve cleansing. When the cost of adblue is included, the economy isn't quite so good! I have a Citroen C3 with the 1.6 diesel engine. In two years and 23,000 miles I have topped up the adblue once. Cost £15 from Halfords. The fuel economy is 53mpg. The extra cost of adblue is a myth put about by VAG who are trying to justify using cheat software instead of fitting proper diesel emission cleansing equipment. I blame VAG for getting diesels a bad name. 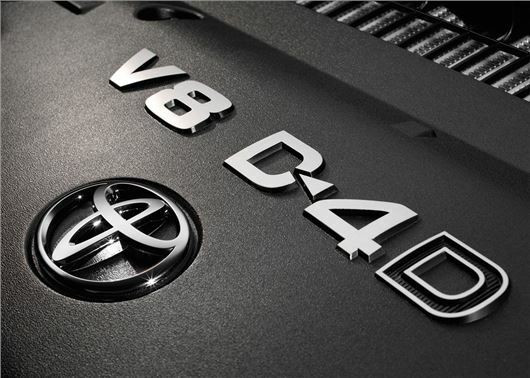 I agree VAG have a lot to answer for, PSA diesels are great it will be years before any petrol engines are as economical and reliable and electric cars are a pipe dream. They might be ending diesel CAR production but there's no mention of Toyota's best selling pickup the Hilux going over to petrol and that's quite often bought as a lifestyle vehicle as it is tax efficient to do so. When you look at the motoring scene it's still the high mileage, used all day vehicles that aren't going to be replaced by petrol any time soon and the government aren't helping where I live as the amount of rail line that is being converted to electric shrinks with every budget. Another diesel powered vehicle that seems to have slipped under the radar are tractors. There doesn't seem to be any realistic way to replace them with hybrids or electrics any time soon. Perhaps we should go back to steam. Steam, now there's a thought. However, it's never going to appear in mass production vehicles. Too much investment by the oil companies, vested interests and governments. What a lot of aggro caused by the tree huggers. The life on the planet will not last a day longer than was ever ordained by nature who created it all. We shall not be here to prove them wrong of course.